If you haven't had chilled Zobo (hibiscus leaves) out of an oblong transparent polythene bag on a torridly hot day, life is trying to rob you of an amazing experience! My childhood was sufficiently Zobo-ed but my adulthood, not so much. My last drink must have been when I was 12. Therefore, the plan this summer is to make my own amazing Zobo coolers, so I can manage the amount of sugar I put in and play around with all those great flavors. It's going to be epic! *Chin Palm* Where am i going to find fresh Zobo leaves out here?? Where there is a will, there sure is a way! 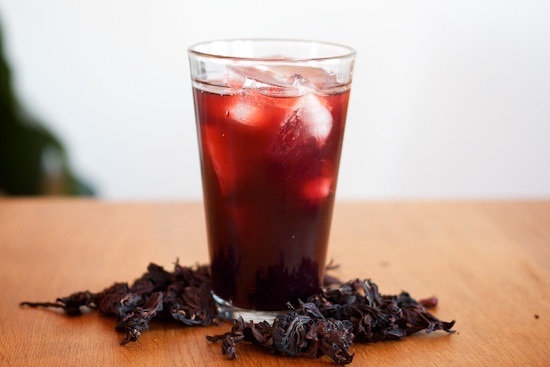 Zobo is rich in vitamin C, flavanoids, calcium and niacin! Any Zobo-enthusiasts? Please share your recipes below! Special thanks to Funke Koleosho(Funke Koleosho's New Nigerian Cuisine) , Funke Edoho (9jafoodie) and Ibifaka Ben-Kalio (Fabila's fitness) for granting permission to use these awesome photos!